Melting in a heat wave? Toronto. 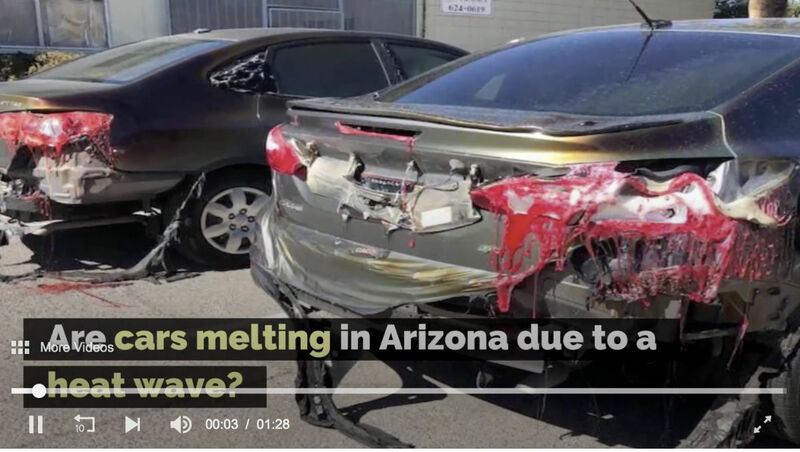 Was this heat wave REALLY so hot that cars melted in Arizona? Does the claim pass the smell test? Yeah,right! For many years the Snopes site has helped us mere mortals perform a decent smell test. Our customers occasionally sent on dubious email messages purporting to one thing or another that seemed off. A quick check on Snopes usually confirmed the claim to be fake or valid along with a reasonable explanation. We know that in photography – especially since the days of darkroom enlarging … and Photoshop – that not everything you see is true. This usually is done for a hoax or by politicians to sway the votes of the unwitting public. This entry was posted in miscellaneous and tagged cars, fauxtography, heat, photo, Snopes, video. Bookmark the permalink.